Maths in a minute: Watch your units! We've all made embarrassing mistakes, but one of the most embarrassing mistakes ever made has to be this one. On September 23 1999 the Mars Climate Orbiter entered its target orbit around Mars, from where it was to observe the red planet's climate and atmosphere for one Martian year (that's approximately two Earth years). It duly disappeared behind Mars a few minutes later, but it never re-appeared on the other side. A week later NASA officially gave up on the spacecraft. A "mishap investigation report" later concluded that the $193 million Orbiter had entered into orbit at a much lower altitude than planned and as a result it either disintegrated in the atmosphere or sped off to orbit the Sun. 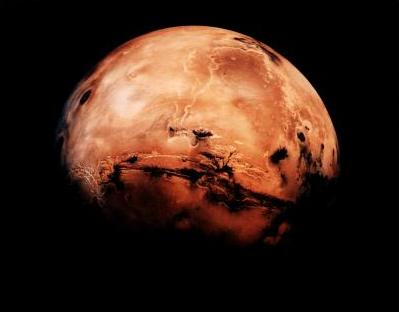 How not to measure Mars. Image courtesy NASA. Embarrassingly, the error was a result of a confusion about units: Lockheed-Martin, the company who operated the spacecraft for NASA, used Imperial units of measurement — miles, feet and pounds — while NASA's team used metric ones. It was Lockheed-Martin who were out of step with the rest of the world on this, but NASA responded gracefully. "People sometimes make errors. The problem here was not the error, it was the failure of NASA's systems engineering, and the checks and balances in our processes to detect the error. That's why we lost the spacecraft," Edward Weiler, NASA's Associate Administrator for Space Science, said at the time. The failed mission illustrates what travellers have known for centuries: different units are confusing. Although some countries insist on odd units of measurements out of pure pig headedness, it's clear that a universal standard is what's reasonably required. The question is what to base this on. Many traditional units use the dimensions of the human body — the length of feet, fingers and so on — but these are clearly too variable to give a consistent definition. The metre was defined to be more universal. In 1791, four years into the French revolution and its spirit of renewal, the French Academy of Sciences decided to set it at one ten-millionth of the distance from the equator to the North Pole, measured at sea level. The question was how to measure this distance, so the Academy sent out an expedition, which lasted for seven years and went from Dunkirk in France to Barcelona in Spain, to do the triangulation work necessary to come up with an estimate. "the length of the path travelled by light in a vacuum during a time interval of 1/299,792,458 of a second." "the duration of 9,192,631,770 periods of the radiation corresponding to the transition between the two hyperfine levels of the ground state of the caesium 133 atom". This may sound rather convoluted, but it's all in the name of precision which, as our favourite embarrassing mistake illustrates, is important. Surely this error occurred before in the early days of Space exploration. I can't remember which capsule it was but this confusion in units was cited as the cause of this earlier problem. I worked for an American technical company and found that they were still using British Thermal Units for heat calculations. It seems to me extremely lucky that this latest error occurred with an unmanned module !! Think of the situation if it it had been a manned system. I am confused. Is the problem the result of a failure to convert from one unit to another, as in 33 yards was misread as 33 meters; or was the problem caused by the lack of precision during the conversion, 1kg was converted from 2.2 pounds instead of the more accurate 2.20462262?